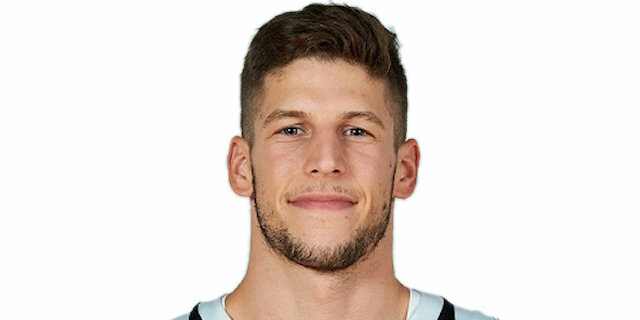 Dolomiti Energia Trento fought off a big challenge from visiting Partizan NIS Belgrade to register an 82-73 win in the season-opener for both teams on Wednesday night. The hosts never led in the first half, but changed their fortunes in the second behind the guard duo of Nikola Radicevic, who led the way with 15 points, and Toto Forray who had 14 points and 7 rebounds. Partizan’s Vanja Marinkovic netted a game-high 19 points in defeat, and Marcus Paige added 16. It was a high-scoring affair in the early going as Partizan needed only five minutes to open a 10-19 lead. Forray sparked Trento’s rally to cut within 29-30, but triples from Paige and Marinkovic re-opened a 34-43 margin. However, Trento scored the last 9 points of the second quarter to tie the game at 43-43 at halftime. The hosts took their first lead, 49-48, on Dustin Hogue’s three-point play early in the third quarter, which also sparked an 11-0 run that put Trento up 57-48. Three-pointers from Aleksej Nikolic and Paige got the visitors back within 62-61, but Forray scored 7 unanswered points for the hosts, helping them open a 71-61 lead and thus paving the way to victory. Trento scored the last 9 points in the final 2:53 of the second quarter and then grabbed its first lead of the night after putting together an 11-0 run in the third quarter. The score went from 34-43 to 57-48 over a span of more than nine minutes. Partizan did not go away, but Trento never relinquished the lead. Trento had four scorers in double figures. Alongside Forray and Radicevic, it was also Devyn Marble netting 14 points and Beto Gomes scoring 12 points. Dustin Hogue and Nikola Jankovic helped the balanced offense with 9 points apiece in victory. The EuroCup season might not have started as Partizan hoped, but the club’s youth was on display already in the first game. 21-year old “veteran” Vanja Marinkovic netted 4 triples and had 19 points. 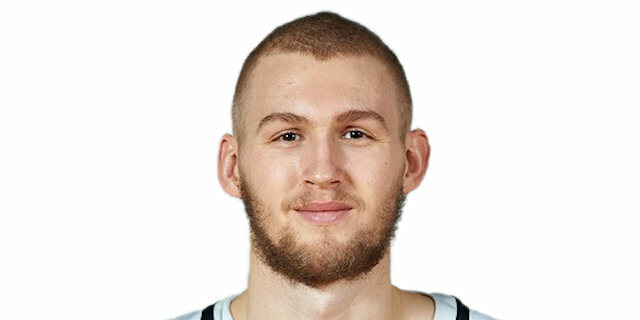 Eurocup rookie and 23-year old power forward Rade Zagorac was everywhere with 9 points, 9 rebounds and 4 assists, and 23-year old center Jock Landale had 11 points and 6 boards. This young team will only grow. This was head coach Maurizio Buscaglia’s 500th game on Trento’s bench in all competitions. 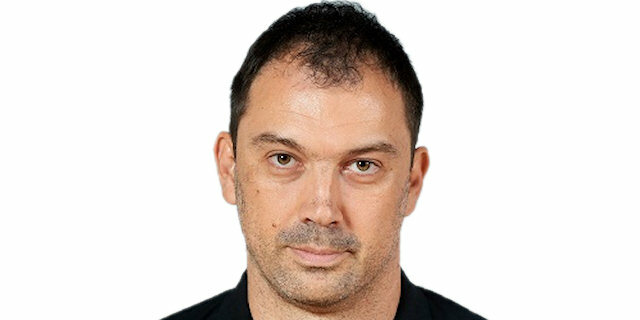 Buscaglia was the 2015-16 EuroCup Coach of the Year. In Round 2, Partizan (0-1) will play in front of its fans against Zenit St. Petersburg (1-0), while Trento (1-0) travels to try to steal one on the road against LDLC ASVEL Villeurbanne (0-1). "I'm very happy for this win. In thr first half we struggled with defense transition, in the second half we improved a lot and because of our defense we came back to grab a very important result." "First of all, congratulations to Trento for the win. We played a very good first half, but we weren't able to close it the way we deserved because of some very bad decisions on offense. In the second half we missed our big man, Gagic, because of foul trouble, and then Trento took control of the game." "We should have done a lot of things better. I think we played really well the first quarter and the scoreboard reflected it. Then we stopped playing as a team the next three quarters. They came back, they kind of started blowing us out. We started playing as a team and defending again, and things started going better for us again. But we have to play 40 minutes of team basketball, otherwise, things will not be going our way, and that’s on all of us." "I think we started the game pretty well, with high energy. We played the right way, like we talked before the game. We did everything offensively and defensively like we said in the locker room. Later our energy kind of dropped a little bit and somehow we missed a couple of details. They came back and we did not really correct them. If anything, we fought until the end, but we have to be a little bit smarter to win these kind of games. It is the first game, it is not the end of the world. We have to go back to the gym, work hard and just look forward."